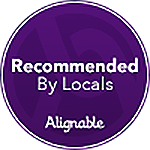 Together we provide the best service. GoDataFeed is reshaping the delivery of product feeds to the major comparison shopping channels with an innovative solution that properly and effectively automates, optimizes and analyzes the data feed management process. GoDataFeed empowers online retailers and search engine marketers by providing an affordable, time-saving solution to increase traffic and visibility on more than 70+ comparison shopping sites and affiliate networks. What is your strategy for getting more feedback on Amazon? 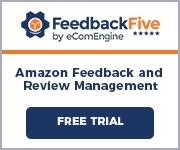 Designed specifically for Amazon merchants, FeedbackFive is the industry leading feedback management tool. Merchants use FeedbackFive to proactively manage their feedback scores, automatically solicit feedback from customers, review negative feedback, manage Amazon product reviews, monitor trends, and request removal of negative feedback. According to FeedbackFive, over 90% of Amazon buyers typically fail to leave feedback. As an Amazon merchant, your feedback score is the main factor that first-time customers use to judge the reliability of your services. Start Improving Your Feedback on Amazon Today! Come see why more than 20,000 online businesses trust their success with Volusion. You’ll receive the industry leading ecommerce solution that includes powerful selling and management tools, flexible design and premium hosting. Also, you’re never alone with free 24x7x365 Out of This World support and full security certification. Experience the Volusion difference today’s. 10,000+ Customers. 15 Years in Ecommerce. 100+ Partnerships. 24/7 Phone Support. It’s simple math. Growing from the ecommerce industry’s humble roots, 3DCart has become the premier shopping cart suite for online businesses of all shapes and sizes. Since 1997, 3DCart has helped people across the globe turn passions into livelihoods by empowering them with the tools to create, customize and publicize their own online stores. Shopping Carts from 3dCart are complete e-commerce storefront solutions. BigCommerce makes it easy to setup your own professional online store – no coding or design experience required. 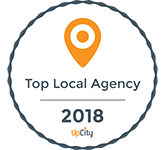 Using our built-in marketing tools, you can also drive lots of traffic to your new online store from places like Facebook, Google, Yahoo, eBay, Shopzilla, iPhones, iPads and more. Shopify gives you your own storefront to sell your products on. You can pick from over 50 free and premium themes from our Theme Store or if you know HTML & CSS you can design one from scratch. With Shopify Themes you can upload your own logo, change the colors, modify the fonts and more. An experienced player in the eCommerce industry that has been leveraging the power of Open Source technology to help online merchants fulfill their business goals at a fraction of the cost and time of proprietary eCommerce solutions since 2001. Our clients are a new generation of store owners eager to materialize on their creative ideas and gain an edge in their industry. For years they heard “no”. They turn to us for our expertise, guidance, level of execution and a passion matching theirs.